This computer's Security Settings\Account Policy or Account Lockout Policy policy was modified - either via Local Security Policy or Group Policy in Active Directory. Security option: "Network security: Force logoff when logon hours expire"
Unfortunately the Subject fields don't identify who actually changed the policy because this policy isn't directly configured by administrators. Instead it is edited in a group policy object which then gets applied to the computer. Therefore this event always shows the local computer as the one who changed the policy since the computer is the security principal under which gpupdate runs. The ID and logon session of the user that changed the policy - always the local system - see note above. The new values are displayed for each policy that was changed. 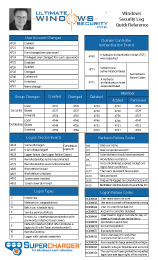 Force Logoff: Security option: "Network security: Force logoff when logon hours expire"
Password History Length: "Enforce password history"
Machine Account Quota: The number of computer accounts that a user is allowed to create in a domain with the "Add workstation to domain" user right.